I never did read much Roald Dahl as a kid. I think we read James and the Giant Peach in school once, but that’s about it. My exposure to him was always through movies; Willy Wonka and the Chocolate Factory, Charlie and the Chocolate Factory, Matilda. And when Wes Anderson created a Fantastic Mr. Fox movie I saw that before I read the book as well. Now that I have kids and they were given a Dahl box set for Christmas, I’m finally catching up on the actual books. I liked but didn’t love the movie version of this novel, and I think I’ll have to say the exact same thing about the book; it was good, but it just wasn’t great. The story of the book is much simpler than the story of the movie. In the novel, Mr. Fox has stolen one too many fowl from the local farmers Boggis, Bunce, and Bean. The trio team up to kill the sly fox once and for all. But when he gets wind of the plan, Mr. Fox simply stays underground with his wife and children. But the men won’t give up that easy. They dig with shovels, with machines, guard the hole, and do everything they can to make sure that the foxes never escape. 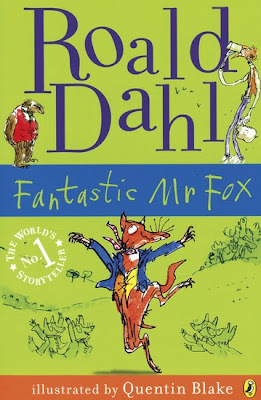 But as the family starves, the wonderful Mr. Fox begins to devise a plan that will both feed his family and steal everything right from under the farmer’s noses. The book is very easy to read, with short chapters and simple themes. I can see why Anderson jazzed up the movie quite a bit and added his own style, cause otherwise it would have been very boring. The book was a bit boring itself, but because it was short and sweet you could get through it fast. 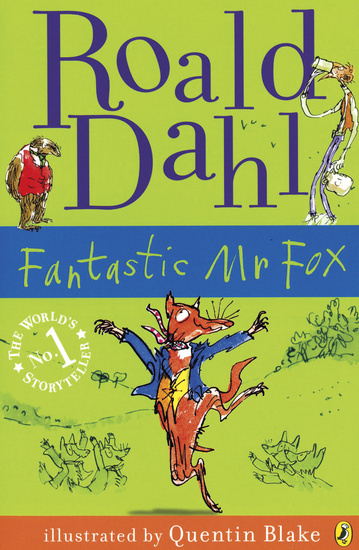 I imagine this just isn’t one of Dahl’s best, at least compared to Charlie and what I remember of James. Don’t expect much more than as easy read, and I’d recommend reading it to children; it adds an extra element of fun to know that they’re enjoying it. But it’s a fine book for a nice time.